This is one category where it really pays to head to a store and try out a model you’re interested in. When we had our stack of keyboards in for review, people couldn’t help but touch and play with them. They all came with different needs and biases. There’s truly no one size to fit all, but our reviews aim to give you enough specifics to make a sound decision. Check out our buying advice at the end to help you choose from other models you find. Updated 03/28/2019: It's rare to find a keyboard that actually has some aesthetic appeal. We reviewed the Arteck 2.4G Wireless Stainless Steel Keyboard (available on Amazon), a surprisingly attractive and sturdy design for a very affordable price. Read our review. We also found a new best overall wireless keyboard: Logitech's K800 Wireless Illuminated Keyboard is comfortable, well-designed, and affordable. Read our review. 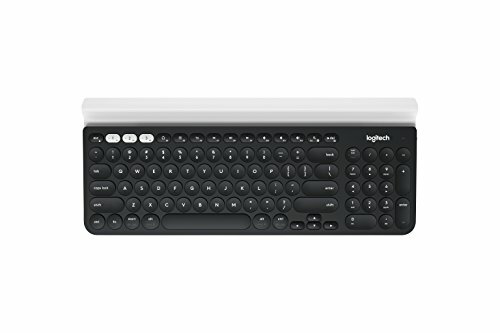 Logitech’s K800 Wireless Illuminated keyboard (available at Best Buy) is indispensable if you often type late into the evening or otherwise work in dark environments. This backlit keyboard not only provides the necessary light but also offers one of the most comfortable and pleasant typing experiences we’ve encountered, all at an affordable price. Read our review. Runner-up: We still like the sleek, elegant Microsoft Modern Keyboard (available on Amazon). It looks as good as its feels, with pleasingly clickable keys, a bevy of dedicated Windows keys and an ace up its sleeve: a built-in fingerprint reader. Our only gripes about this rechargeable, Bluetooth-enabled device are its lack of programmable keys and its lofty price tag. Read our review. Runner-up: The AmazonBasics Wireless Keyboard ($20 on Amazon), which Amazon trumpets as “quiet and compact,” is built for this age of open work environments. When personal space is at a premium and even the clattering of a keyboard can feel intrusive, this discreet device helps everyone get along. Corsair’s K63 wireless gaming keyboard is compact, durable, and reasonably comfortable to type on. It’s only the second wireless mechanical keyboard from a major manufacturer. It’s also the first with backlighting, though its single, bright-blue color may come to annoy you as time goes on. Still, whether you’re in for casual couch gaming or just want a cleaner, wire-free desktop, the K63 is a solid choice. The Azio Retro BT Classic is a vintage-style mechanical keyboard priced like a real antique, but if you have the cash, it’s certainly striking. From its deep, clicky keystrokes and wood or leather paneling to its LED-backlit keys and rechargeable battery, the Bluetooth-enabled Retro Classic will delight serious typists with old souls and money to burn. Wireless keyboards connect to a PC in one of two ways: via Bluetooth or a USB receiver. Some older Windows 7 machines may not support Bluetooth. On the other hand, if you need a keyboard to work across different platforms on newer devices, a Bluetooth-enabled model is what you need. All the USB receiver-driven models in this roundup were flawless examples of plug-and-play keyboards. Pairing Bluetooth keyboards (compared to Bluetooth headsets, let’s say) requires a few more steps, and only one of the models was slightly flaky in maintaining its connection. Bluetooth keyboards tend to cost a little more but also offer longer battery life. As you’re shopping (particularly if you have big fingers), keep in mind that some hardware makers sacrifice the keys’ size and spacing to give you portability. It was hands-on all the way with our keyboard testing. We spent at least one full workday typing exclusively on each model we tested, with follow-up time to allow for a learning curve. We assessed the primary typing experience: key design, typing feel, and even noisiness. We also tried the secondary features: hotkeys, switches and dials on multi-platform models, and even the ability to adjust the angle or other comfort characteristics. We considered the size, weight, and durability of each model against its purpose—whether it was designed to be portable or desk-bound, and compact or fully featured. For instance, we balance the versatility of multi-platform models like Logitech’s K780 against its performance as an actual keyboard you need to use every day (and in this case, it wins on all counts). You’re going to use this keyboard every day, so make sure it fits your typing habits and your needs. Here’s what to keep in mind as you shop. Size: A model that will always sit on your desktop can be bigger and heavier, and usually some other advantages some with that. As more of us carry laptops or tablets, however, we’ll look for models that are compact or portable. These will sacrifice some features but be easier to take with you. Keys: Look for keys that are sculpted and spaced for typing comfort. This is why we encourage trying before buying: We’ve had very different experiences with traditional keys vs. chiclet-style vs. flatter key designs, and it’s surprising how little things like the texture or the amount of dimple will make or break a choice. Most mainstream keyboards use membrane technology, which is adequate for most users, but heavy-duty users and gamers will likely prefer keyboards with mechanical switches (which are not reviewed here). Windows hotkeys, or even programmable keys, are great bonuses, especially for power users. Adjustability: Some keyboards offer no adjustment for angle or height. Look for models with adjustable legs or feet. We haven’t included ergonomic models in this round of reviews. Battery needs: All wireless keyboards use batteries. Check closely for the type and number of batteries you need, and whether a starter set is included. We note the vendors’ specified battery life in each review. 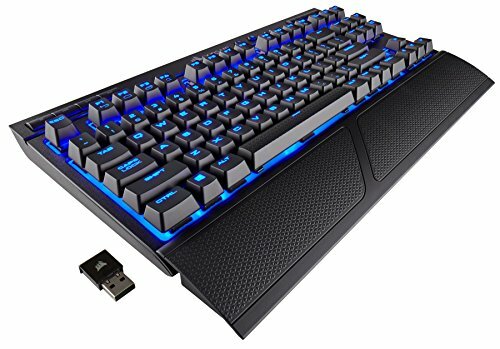 Price: When it’s so easy to get a keyboard for free, it can be hard to justify actually buying one. The good news is, you can get a solid model for as little as $40, including some of the ones we’ve reviewed. We show the MSRP for each model, but of course you can often find it for less at online or brick-and-mortar stores. Keyboards are a very personal choice. 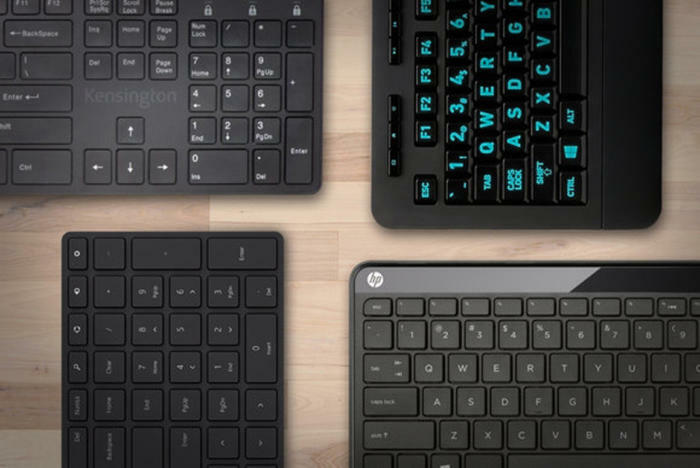 Whether you want big or small, desktop or portable, with more or fewer buttons and adjustments, you can find it in one of our other keyboard reviews, listed below. Aoife M. McEvoy authored the original version of this article, which published June 10, 2016. This story, "Best wireless keyboards: Hand-tested reviews of Bluetooth and USB models" was originally published by PCWorld. With its vintage design and clicky, deeply satisfying typing feel, the Azio Retro Classic is an enticing—if pricey—treat for dedicated PC or Mac typists. Microsoft’s sleek, elegant Modern Keyboard looks as good as its feels, with pleasingly clickable keys, a bevy of dedicated Windows keys and an ace up its sleeve: a built-in fingerprint reader. The Logitech K780 is a fantastic option for multitaskers who want one keyboard to rule all their devices. The Microsoft Sculpt Ergonomic Keyboard is a welcome alternative to conventional desktop setups for RSI sufferers. The Designer Bluetooth Desktop is expensive, but it offers high-quality look and feel, plus Bluetooth connectivity and a bundled mouse. The compact design sacrifices Function keys and general spaciousness, however. There's a lot to like about the Azio Hue 2, including its stylish colors (depending on the model), quiet keystrokes and solid mouse. Unfortunately, a smattering of sticky keys—particularly the space bar—makes the Hue 2 difficult to recommend.